Aum……………. – Page 2 – Meditation, yoga, spiritualism,love,and happiness. There are few things more quintessential of summer than strawberry rhubarb pie. It’s a summer signature for a reason—the combination of sweet strawberry with sour rhubarb make it irresistible to nearly everyone. Make it even more impressive with the addition of hibiscus tea. Hibiscus possesses a gently tart, almost cranberry-esque flavor, making it an ideal pairing with this classic combination. We also love that it’s nestled inside a bed of buttery crust and topped with kefir-based cream. Say hello to your next seasonal staple. For the filling: In a deep heat-proof bowl, mix the rhubarb and strawberries. In a large saucepan, combine the hibiscus, honey, water, and kosher salt and bring the mixture to boil over medium-high heat. Boil for 2 to 3 minutes, then pour it over the strawberries and rhubarb. Allow the fruit to steep until it cools. Once cooled, drain the strawberries and rhubarb into a sieve to catch the liquid. Return the fruit to its original bowl. Transfer the steeping liquid to a saucepan, bring to a simmer, and cook to reduce to a syrup, or 8 to 10 minutes. Allow the syrup to cool. Once it has cooled, fold it back into the strawberries and rhubarb, then add the sherry vinegar, mint, and basil. Mix and let stand. For the pie crust: Preheat the oven to 425. In a bowl, combine the flour and salt. Using a pastry cutter, cut the butter into the flour until it is just incorporated and sandy. Slowly add the ice water into the bowl and mix quickly until the dough is just barely incorporated, then let the dough rest in the refrigerator for 30 minutes. Unwrap the dough and let it rest for 5 minutes at room temperature. Using a roller, hit the middle of the ball of dough once, then turn it 90 degrees and hit it again—you will see a cross in the middle of the dough. Begin to roll out the dough, turning it 90 degrees each time until it is about ¼ inch thick. Fold the dough in half, then in half again. Place the corner of the folded dough into the center of standard 9-inch pie pan and unfold, working the dough into the shape of the pan. Let is rest in the refrigerator, uncovered for about 15 minutes. Place a piece of parchment paper into the pie shell and fill it with pie weights, uncooked rice, or dried beans. Place the pie shell in the center of the oven and bake for about 15 minutes. Remove the parchment and the weights and bake for another 5 to 7 minutes until the crust is golden brown. Let it cool on a rack. For the topping: In the chilled bowl of a mixer, combine the heavy cream, sugar, and vanilla and beat until stiff peaks form. Gently fold in the kefir. To plate: Fill the pie shell with the fruit and syrup mixture, then top it with the whipped cream mixture. Step saver: Use store-bought pie crust to save time. Or skip the pie crust all together and enjoy the filling and the topping all on their own. The post Hibiscus Strawberry Rhubarb Pie with Kefir Whipped Cream appeared first on Wanderlust. The article When Life Gives You Lemons… appeared on Left Brain Buddha. Is there a more precious commodity than time? It’s the currency of life; the most basic finite resource, and we have a responsibility to spend it wisely. It’s up to us each individually to figure out what that means to us. For me, that means being mindful of the people, activities, and thoughts to which I give my time and energy. I am an obsessive reader, and at any one time I have at least fifteen books checked out of the library. I tell myself that I won’t check out any more books until I’ve finished reading the ones I’ve already borrowed, but I never listen and I’m glad for it, because reading is one of the wisest and most enjoyable ways I can spend my time. I try to be cognizant of what grows my spirit and what shrinks it, and I aim to use my time accordingly. But this is hardly an easy task, especially with the constant lure of technology and smartphones. Unlike with books, the escape these devices offer can quickly lead me down a rabbit hole of anxiety where I feel my inspiration leaking away and self-doubt taking its place. Whether this is because I’m feeling guilty for wasting so much time, tired from staring at an electronic screen so long, or because I’m negatively comparing myself to other people, I know that my time can be put to better use. I often end these technology binges with a nagging sense of emptiness and, despite the vast array of connection offered by technology, a vague feeling of disconnection as well. I don’t want to scroll my day away, yet sometimes feel compelled to do it. 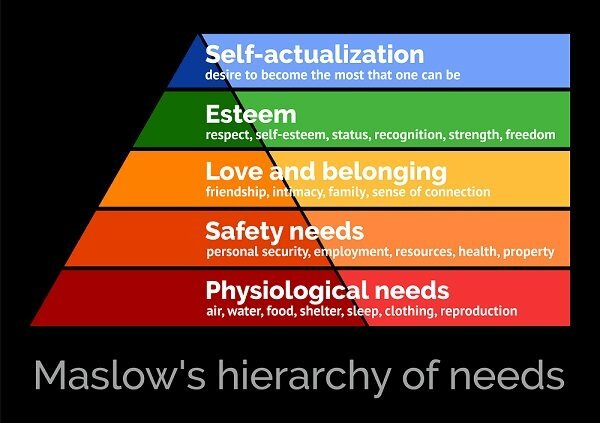 We all have a basic need to belong, and social media’s popularity can be boiled down to its ability to tap into that need. However, it’s important to keep in mind that the complexities and imperfections of real life are often glossed over or edited out entirely. To compare your real life to someone else’s crafted digital persona is unfair and unrealistic, and it sets you up for disappointment. Social media can also taunt us by bombarding us with the adventures of people better left in our past. I didn’t fully appreciate this hurtful effect until my social media usage worsened a recent experience of heartbreak. Like a bullet in the back, my screen suddenly and completely filled with him. And not just him, but his new girlfriend too. It wasn’t long before the photo left the confines of the screen and filled my room and my mind; my entire world became consumed with memories of when he held me that way and the accompanying feelings of sorrow, loss, anger, and jealousy. I thought strength meant I shouldn’t be affected by something as silly and trivial as Facebook or Instagram, but no matter how much I don’t want to be affected, the truth is that I am. And the effect social media can have on our feelings of self-worth is not trivial. Only when I accepted this did I begin to move toward easing the pain of heartbreak. The first step was using my time not for social media obsession, but for reflective writing and poetry, which are activities that provide me with real, sustainable healing. When I do use social media, I make sure my feed is filled with posts that I enjoy seeing and that help me grow rather than make me feel smaller. And I share posts that are an expression of my inner feelings or at least can make someone laugh. I have also made a commitment to be present with myself and my emotions, without judgment, instead of using social media to distract myself from my feelings. This mindful practice, though difficult, is worth the effort because it allows me to strengthen my ability to treat emotions as valid but fleeting, rather than being in resistance or letting them consume me. Heartbreak and pain are part of the human experience. It helps to remind myself that I am not alone and to reach out to loved ones—offline—and let myself be vulnerable enough to express what I’m going through. For me, too much social media actually dampens my sense of connection to others because I tend to retreat when I start believing my life is not as exciting or meaningful as other people’s. I’ve learned to limit the time I spend fueling insecurity with social media and to fill that time either with mindful scrolling or something else entirely. I keep in mind that this technology is the new terrain on the landscape of communications, and it can be a fantastic and fun tool if I navigate and utilize it responsibly. This article is most likely reaching you via a social media channel, and I’m thankful for the opportunity this provides for sharing work that elevates our awareness and consciousness. Because of social media, I’ve increased my exposure to websites and channels that facilitate personal growth, such as Tiny Buddha, but I’ve had to learn to become more mindful of when it’s okay to unwind online and when it’s harmful. Sometimes I need a break, and watching a video of cats that are afraid of cucumbers or hopping from one newsfeed to the next can be a good stress reliever. I also find that pausing occasionally during creative activities gives ideas the necessary time to simmer below the surface until they are ready to come to light, and social media can be a good way to give my mind a break. I know I need to stop scrolling when I feel a shift in my emotions; when the lighthearted fun of connecting virtually and the joy of sharing my creative work with people all over the world becomes a self-imposed prison of mindlessness. I don’t want to allow my precious time to tick away in a stream of posts and updates. When I feel this shift, I know it is best to turn off my device, take a few deep breaths, and turn my attention and time to something more enriching. I also realize now that it’s more beneficial to be present with my surroundings rather than tuning out into a digital world during every available moment. On walks, commutes, and at the dinner table I enjoy being fully present with the people and things around me, as well as my own sensations and feelings. These small moments of togetherness and solitude are fertile with opportunity for self-reflection, presence, and connection, but only if I resist the temptation to compulsively check my smartphone. The key here is to become aware of how often we reach for our phones so we can examine how we spend our time and whether we can put some of that time to better use. I’ve caught myself multiple times at the beginning of an unproductive scrolling session and made the intention to put my phone down after ten minutes so I don’t get too lost in a cycle of posts and updates. And on other days I could use a good cat vs. cucumber video, and that’s okay too; it’s all about balance and awareness. Social media can be a good thing when we use it responsibly. Whether we are scrolling, sipping a cup of tea, or having a conversation, cultivating mindful presence can only enrich our experiences. This, I believe, is how we can wisely utilize the small amount of time we are afforded. When I dip into moments of deep, full presence, the only response that springs forth is gratitude, and I can think of no better way to spend my time than in a state of appreciation. The post The Invisible Effects of Social Media: When It’s Time to Stop Scrolling appeared first on Tiny Buddha. In 2018, a tiny human being arrived on the planet, one who would change my life. In the short nine months my nephew Oliver has been in my life, I’ve learned a lot. I’m not talking about changing nappies and bottle-feeding, although I’m getting to grips with these essentials too. No, Oliver has taught me valuable lessons about life itself. Here are nine of the biggest. 1. Love and be loved. Those who meet Oli can’t help but love him. He has big, beautiful, blue eyes and a smile that you can’t help but reciprocate. Although he’s beautiful on the outside, it’s his spirit I love most. He’s gentle, innocent, and curious. I see the good in him, and even though I know he’ll make mistakes as he grows up, I also know it won’t change my unconditional love for him. Loving Oli in this way has taught me to be more loving and less judgmental of others because I recognize that in every adult there’s an innocent child who’s just trying to do their best. This has also helped me better open up and receive love. I feel how deeply I want to help Oli, and how much it means to me when I can, which makes me more receptive when others want to help me. 2. Make time to play. Oliver’s social schedule is impressive, better than most adults! He goes to birthday parties, visits family, has trips out, not to mention the numerous baby classes he attends. Regardless of where he is, whether it’s a class with friends or a rainy day spent at home, I can count on one thing—he’s playing! One morning, while watching Oli play, I asked myself, “Do I make enough time to play?” Adulting can be a serious matter at times, but that’s not to say we can’t pass time in a way that lights us up. Maybe I’m a little old to play with toy cars (or maybe not). Still, it’s important I make time for fun. So I now make time to play piano and watch movies instead of telling myself these things are unimportant, and I try to infuse a spirit of play into everything I do instead of taking it all so seriously. Recently, my sister taught Oli the song “If You’re Happy and You Know It Clap Your Hands.” He’s always a little out of time, but he’s mastered clapping itself. It melts my heart to see him clapping away with his mini hands. I hope when he’s a little older, he’ll clap for himself after all his accomplishments and learn to praise himself for a job well done. Children are usually great at this. Sadly, when we become adults, we become more critical of ourselves, and words of praise become words of criticism. We become our own worst enemies, which makes it hard to ever feel happy, proud, or successful. I formed a habit at the end of last year, to praise myself for three achievements at the each of day. Big or small, it doesn’t matter. I simply praise myself. I’m a lot less critical of myself since starting this ritual—and a lot happier as a result! “C’mon, you can do it.” This seems to be my catchphrase when I’m spending quality time with my nephew. He’s forever on the move, grabbing on to the side of the sofa and pulling himself up slowly. Rather than helping him directly, I sit back, smile, and encourage because I want to support his growth instead of just doing things for him. If my family are in the room, they’ll join in and it begins to feel like we’re a group of cheerleaders rooting for our favorite sports team. Oli loves encouragement. Don’t we all? Life can be challenging sometimes, and hearing someone say, “I believe in you” can help us push through when we’re tempted to give up. I now put more energy into encouraging my loved ones—and myself. Replacing my inner dialogue from negative, doubtful messages to pure encouragement has been life changing. Our thoughts determine our feelings, which influence our actions. For this reason, even a little self-encouragement can dramatically transform our lives. 5. Express how you feel. Another important lesson Oliver has taught me, and taught me well, is to express how you feel. When Oli is hungry or tired you know about it! He doesn’t hold back. And he always gets his needs met as a result. For a long time when I was living with anxiety, I wore a mask and hid my real feelings, putting on a “brave face.” I was afraid of being judged and I falsely believed that “real men” shouldn’t show weakness or ask for help. I’ve gotten better at expressing how I feel, though there’s still room for improvement. As a result, I’m also better able to move past my challenges and get what I need. One of Oliver’s cutest idiosyncrasies is his growl. He’s one determined little man, and his determined actions are always backed by a “GRRRR.” He’s advanced for his age, and I bet it’s because of his determination. If he fails the first time around, he tries again. As adults, we’re sometimes too quick to form conclusions about what’s possible and what we’re capable of doing. Babies don’t have this kind of internal monologue—they just keep going when they have a goal in their sights! Watching Oli has inspired me during recent challenges to really dig deep, get determined, and keep on going. 7. Know when to rest. As playful and determined as he is, Oliver knows when it’s time for a nap. In the past I’ve been guilty of pushing too hard, working too long, and not resting enough. I sometimes think I’ll get more done if I work harder and longer—probably because I often heard growing up “You can be successful if you work hard.” But I’m actually more effective if I allow myself to stop working and rest when I’m tired, since I can then come back stronger and recharged later or the next day. I may not require as much sleep as a baby, but I do need to listen to when my mind and body is saying “enough.” It’s not about working harder, but smarter. The last time I saw Oliver, my family and I took him to the English seaside for the first ever time. It was a cold and windy day, but we didn’t let the weather prevent us from having a great time. We walked for hours along the coastline, breathing in the salty sea air and listening to the sound of the waves crashing against the shore. Having a baby in the family is the perfect reason to go and experience all the world has to offer, to show them its wonders for the first time. As adults, our lives can get routine. We drive to work the same way, eat the same foods, and see the same people day to day. According to Tony Robbins, one of our six core needs is the need for uncertainty—or variety. Without new experiences, life starts to get boring. There’s so much joy to be had when we enter the realm of the new with a curious pair of eyes. Trying new things also helps us discover new things about ourselves—new interests or strengths, or traits we didn’t know we had. After this outing with my family, I made a list of new things I’d like to experience, from foods to devour to countries to explore. I may be far beyond Oil’s age, but we’re never too old to try new things. Perhaps the biggest lesson my nephew has taught me is to live in the present moment. He has no concept of time. The past and the future don’t exist in Oli’s world; he lives completely in and for the present, which ultimately, is the only time we can ever live in. Oliver hasn’t yet learned how to remember. He hasn’t learned how to worry. He is pure. Like we all were at one time. If he falls down, he forgets it quickly and goes right back to playing, completely connected to the joy of what he’s doing. It’s never too late, I believe, to return to living life in the present. Although over the years, thoughts may have pulled our focus like a tug of war rope, back and forth, between the past and future, we can always return to the now, right now. The post 9 Lessons from my 9-Month-Old Nephew, Who’s Taught Me How to Live appeared first on Tiny Buddha. The post Breaking Up Is Difficult to Do: Why We Are in Need of Link and Friendship appeared first on Left Brain Buddha. Here’s how to make this simple snack. The post My Needs Matter Too: How I Started Speaking Up and Setting Boundaries appeared first on Tiny Buddha. We only understand about a few of those decisions ve behaved on them. But this isn a terrible thing, our market can always use folks spending more on it. We could view it as a opportunity to become more generous and really give to others. However, the actual question is who’s choosing your state of mind? Can it be or is it the media? Take this as an opportunity and revel in a mindful holiday season. Set a goal – Take a moment to really consider how you are interested in being through the holidays. If you’re going to be together with family members and friends, how do you like to be together (e.g., present, listening, playful)? The holidays could be a difficult or laborious time for this year, if this is so, how do you be gentle with your self? Be current – In order to pay attention to this particular purpose, it’so important to integrate a practice that brings you to the present moment. This might be a mindfulness practice such as coming into the breath, or perhaps shutting your eyes and listening to noises, or perhaps taking some time to check at all of the areas around you. Make significance – The holidays are intended to be a period of meaning. For Christmas, if it is meaningful, think about what Jesus’ birth means to you personally, or if this isn ’ t meaningful, you might think about the significance of being in the uncommon experience of spending time with people you don’t see frequently. Or if you celebrate Kwanzaa, you might reflect upon the significance of your culture and heritage. No matter your background that is spiritual, this can be a time to stop, reflect and make meaning from the life. The holidays are also . Pick up the camera more, reconnect with friends, browse a novel that is pleasurable, or choose a 2-hour date with others or yourself and do something. If you find yourself in a poor mood, use these 3 steps to help break it. I’d have to concur with Emerson. A lot of us think that we have control over our reactions, but the reality is we are walking around responding much of the moment. Our brain is taking in information throughout the numerous resources (ears, eyes, mouth, legs/arms, nose), translating the data, and making snap decisions of what is good or bad, right or wrong, necessary or unnecessary, pressing or non-urgent, important or insignificant. Right after Thanksgiving, I walked to Target, and lo and behold all of the Christmas decorations were up. I sensed a state of cheerfulness an opening in me along with a desire to shop. Your discussion here provides a living wisdom for us all to benefit from.